“Victory over the Sun (Победа над Cолнцем; Pobeda nad Solntsem) is a Russian Futurist opera premiered in 1913 at the Luna Park in Saint Petersburg. 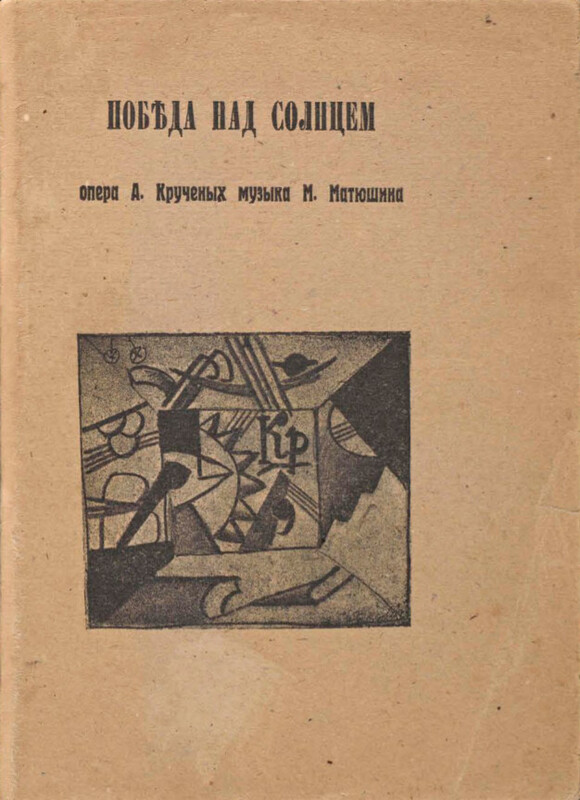 The libretto written in zaum language was contributed by Alexei Kruchenykh, the music was written by Mikhail Matyushin, the prologue was added by Velimir Khlebnikov, and the stage designer was Kazimir Malevich. The performance was organized by the artistic group Soyuz Molodyozhi. The opera has become famous as the event where Malevich made his first Black Square painting (in 1915).